A view from Bruichladdich pier to Bruichladdich distillery on a quite hazy day. 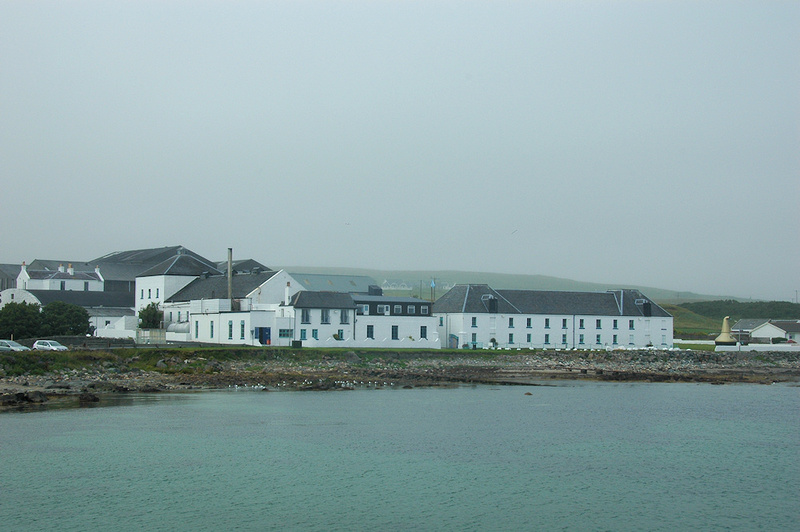 While the distillery is still quite visible most of what is behind it disappears into the haze. The whisky won’t mind I should think, it will still mature as ever.